Easy to use, durable system with 1cm atom centers and thick bonds. Lightweight system for compact student sets and detailed structures. 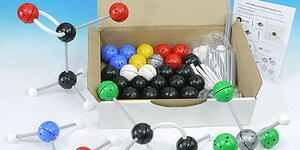 Good quality student molecular modelling sets for school and university. High quality sets for teaching and studying structural biochemistry. Easy to use, durable model kits for studying and teaching organic and inorganic chemistry. 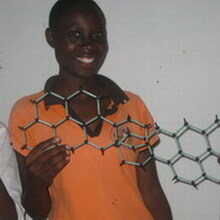 Kits to make models of graphene, carbon nanotubes and fullerenes. Skeletal models to illustrate slip planes and axes of symmetry of metals.